Due March 8, the Sacramento, CA band’s eighth studio record was produced by Def Leppard guitarist Phil Collen. “From that moment, we’ve been writing, recording and getting totally inspired about making new Tesla music,” adds Collen, with plans for him to produce the band’s new album. 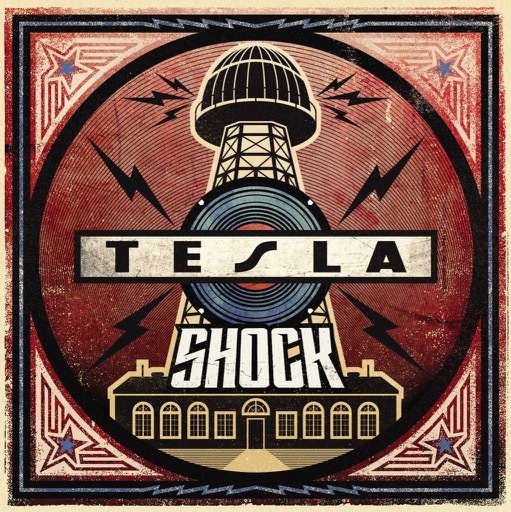 “Shock” will be available via CD, digital, black vinyl, and limited-edition translucent blue vinyl formats; fans who pre-order the album will receive the set’s title track as a free download. Tesla will begin their 2019 live schedule on February 1 in Prior Lake, MN, with dates scheduled into late spring; the band will join Def Leppard for a summer tour of Canada in July.